If you are chasing fish that spook easily or fishing very clear water then you are going to need to fish with fluorocarbon line – at least as your leader anyway. The near invisibility of this line in the water is what makes or breaks your fishing trip. Yes, sure you may be using heavy duty or even braided fishing line as your main line but you are definitely going to want to top it off with fluorocarbon line to the hook and bait. We fish with braided line most of the time and we would never even consider attaching our lures directly to this because you will absolutely spook the fish. Instead, we attach a length of fluorocarbon line – at least a rods length to the braid and then attack our lures to the other end. Yes there are plenty of options when it comes to fluro line and each serves a purpose but today we want to concentrate on the best fluorocarbon line on the market and why it should be your next purchase before you cast another lure into the water. 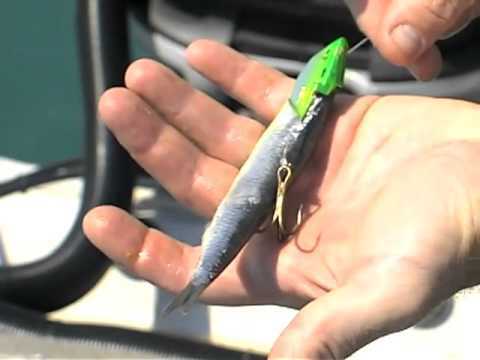 You are trying to present your bait to the fish in the most natural way possible and because the line almost disappears in the water the bait or lure looks as if it is swimming freely. In this review, we want to focus on the best fluorocarbon line available and will give you our top three lines to invest in. What is the best Fluorocarbon Line – Our Top 3. As mentioned earlier there is any number of options when it comes to fluorocarbon line so we did our homework, plenty of research, testing and some expert reviews to bring you what we feel are the top three options available today. When it comes to high-quality fluorocarbon line the best of the best is Seaguar Line. 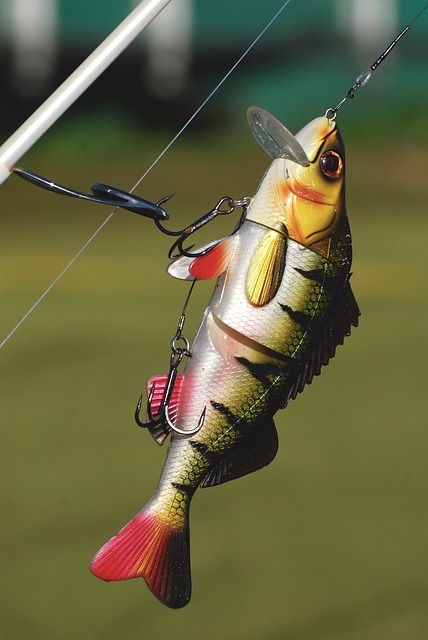 Quality and reliability are hugely important to us when it comes to our fishing gear. Think about it – you invest heavily in a decent rod and reel and the last thing you want to let you down is your line. This quick seaguar fishing line review should give you enough info on this awesome quality fluorocarbon line. 100% fluorocarbon line that can be used for both leader material or full spool line. Easy to tie your favorite knots and no need to worry about slippage. Seaguar fluorocarbon line offers great knot strength and is best attached to your main line with a Uni-to-Uni knot. It is ultra sensitive so you will feel even the smallest of bites. It is also low stretch and holds it form over time. I mainly use this line for lure fishing and jigging because it sinks – so not so good for bobber fishing or where you want the leader to float on the surface. While you may be paying a bit more for this line it is definitely worth the investment. This 100% fluorocarbon line by Seaguar is superbly strong but soft enough so you don’t have to worry about spool memory messing up your fishing trip. It is by far our top choice when it comes to the best fluorocarbon line on the market. Best line for tying on lures and baits due to knot strength. A bit more expensive than some of the alternatives but worth the additional expense if you are serious about your fishing. Kastking hit the market by storm a few years ago and their products offer superb value for money. Their fluorokote fishing line is no exception. While not technically 100% fluorocarbon line it is as close as it gets and has to be the best value line for the money. Low stretch, super strength with superior abrasion resistance. Very sensitive to even the smallest of bites. 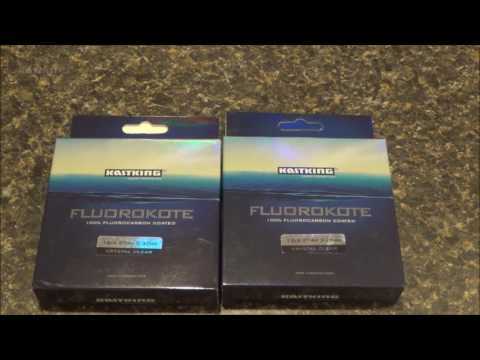 If you are looking for a cheaper option for your fluorocarbon line then you need to take a look at Kastling Fluourkote. This super strong, abrasion resistant line offers great value for money. It’s not technically full fluorocarbon line but the makeup of Copolymer Fishing Line with a high-tech 100% fluorocarbon coating makes this a solid option. Tie lures to this line with any terminal knot. Because it’s not full fluorocarbon line there is no risk of snapping off at the knot when you strike or tighten the knot up. Perfect for moving baits and drop shotting. WHAT IS FLUOROCARBON LINE ANYWAY? Essentially it is a plastic compound that is extruded into a very thin strong and abrasion resistant line used for fishing. Some may say it’s really only any good for using as leader line. That may have been the case in the past but like everything things have moved on and the quality of modern fluorocarbon fishing line gives you plenty of options when on the water. Some of the benefits of using fluorocarbon line are that it has exceptional abrasion resistance. This is great if you are fishing in rough patches with rocks etc or have a fish on with a nasty set of gnashers in it’s mouth. It’s low stretch so you can feel the more sensitive bites – pair this up with a braided mainline and nothing will go unnoticed. With this straight through power setting a hook is much easier than using a line that stretches and gives way to any sort of force. It is also chemical resistant. If like me you are a favorite meal for any bugs flying about on a warm day you will have lathered yourself with repellant. Some traditional lines would absorb these and deteriorate rapidly. No such worry with fluoro. WHAT IS FLUOROCARBON LINE USED FOR? As mentioned above, traditionally fluorocarbon line would have been used for leader lines but now with the high-quality lines out there, you can use it straight through from reel to bait. Make sure you are using the correct line test on your reel though as due to line memory etc.. you may end up with a mess on your reel. We mainly use this type of line for leaders. It’s near invisibility in the water is great when chasing nervous fish or when you are flipping lures into a very clear stream or lake. Because the line is completely water resistant (unlike monofilament line) it never loses its strength in the water. Also the fact that it is 100% UV resistant you won’t suffer any degrading in line strength on a warm sunny day. One thing to make sure you always do when using fluorocarbon line is to moisten your line when tying knots. If you want a super snug and tight knot then always wet the knot first. 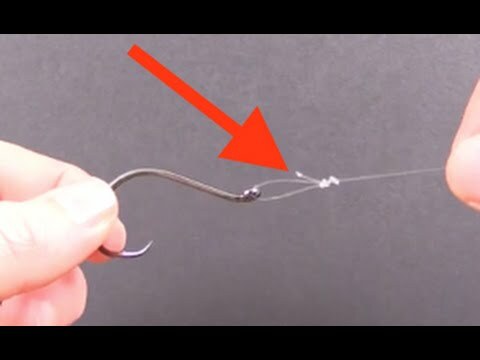 For tying fluorocarbon line to a swivel you should definitely use the improved clinch knot. This super strong knot will never let you down. If you are trying to join a fluorocarbon leader to your main line then you could use a double uni knot. Again a super strong knot that will last all day if tied correctly. The best knot for tying your fluoro to a lure or hook is the ‘Kreh Loop Knot’. This particular knot won the best knot category on the Saltstrong website. Some people (I used to be one of them) often wonder why you would use a loop knot to tie your hook to your leader and not a standard uni knot. Well, the best answer I can give you is that this type of knot gives you bait more freedom to float about unrestricted and can have a huge impact on strike rate when fishing. Check out the video below to find out how to tie this knot and give it a go next time you are out. We could spend all day looking at multiple options but to be honest we’d rather be out fishing. Our Top choice is Seageur InvizX followed by PLine which is the softest fluorocarbon line. Kastking takes out the best value fluorocarbon line even though it’s technically not 100% fluorocarbon. That’s it for this review of the best fluorocarbon line. Have you a line that you fish with all the time? Let us know in the comments your line of choice and we may take a look. © Copyright - Rod & Reel Guide | Some recommended products may use affiliate links. rodreelguide.com is a participant in the Amazon Services LLC Associates Program, an affiliate advertising program designed to provide a means for sites to earn advertising fees by advertising and linking to Amazon.com.